Are You Putting Too Much Fruit In Your Smoothie? 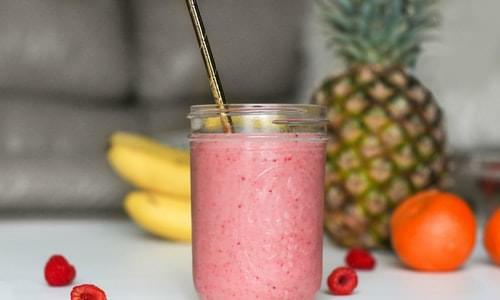 You might be overloading your smoothies with too much fruit. Nutritionists say that excess fruit can make a healthy drink contain as much sugar as a soda. To make a better smoothie, skip the fruit juice and limit the amount of real fruit to one cup. If you are mixing fruits, split it by how many you are using, for example, a half cup of banana and a half cup of strawberries. Also, don’t forget to use vegetables like kale and spinach to balance out the fruit. Do you make smoothies at home? What is your favorite mix?